“These all died in faith, not having received the things promised, but having seen them and greeted them from afar, and having acknowledged that they were strangers and exiles on the earth… Therefore God is not ashamed to be called their God, for he has prepared for them a city” (from Hebrews 11:13, 16 ESV). 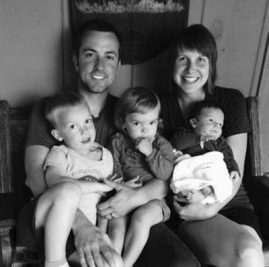 Two years ago today, at about 11:30am (MDT) on a well-traveled stretch of Interstate 80 in Nebraska, Jamison, Kathryne, Ezra, Violet, and Calvin Pals were killed when a distracted truck-driver crashed into their mini-van. On their way to train at WorldVenture Headquarters for an anticipated gospel ministry work in Japan, the Pals instead went home to be with Jesus. It was shocking, tragic, and painful for their families, their friends, and for WorldVenture workers in the USA and throughout the globe. We had lost workers in the past, including a plane crash that killed three workers in Congo in the early days of the mission. But it was the first time we lost an entire family. We mourned. We all mourned. And then, God started doing some surprising things. We shouldn’t be surprised, we believe in a God whose plan to save the world required the death of His Son, Jesus Christ. And His death gave way to His resurrection, which leads to the promise of resurrection and hope for anyone and everyone who puts their faith in Jesus. That was the message the Pals believed and preached. That was the message they were taking to Japan. And that message wasn’t going to be stopped. God has done some incredible things since that tragic day. God has moved on the hearts of people to pray, to give, and to go in place of the Pals, to take the saving message of Jesus Christ throughout the world. Funds have been raised for various ministries sending out new workers, like the Pals, and for ministry in Japan, as the Pals had dreamed. A partnership between WorldVenture and Student Mobilization was forged to send workers to Japan and elsewhere in the world. But there’s one story that would be easy to miss… and yet would probably mean the most to the Pals themselves, if they were still with us. Their friends, the Mirons, were impacted greatly by the death of the Pals. And they shared with us this month how the Pals’ example, even in death, moved them to listen to the voice of God and draw them into international work. And the organization sending them? WorldVenture. Just like the Pals. And just shy of two years to the day of the Pals’ passing. A bittersweet cause for celebration. So, we celebrated! We all celebrated! But there is more to be done. Today, this moment, right now, we need more workers. Like the Pals. Like the Mirons. Like the many that have come and gone before. Jesus told us the harvest was ready, and that we could ask the Lord of the Harvest to send out workers (Matthew 9:37-38). And we’re asking. 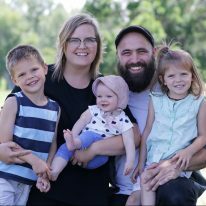 We need families, like the Pals and the Mirons, who have a vision for seeing God transform the world. We need couples who are compelled by love and singles who are willing to risk all and go to the unreached throughout the world. But we need something more… we also need you. Yes, you. God has given WorldVenture a vision and a mission, and that vision is to see “multitudes of disciples” committed to the mission of “engaging the world for gospel impact.” Perhaps you can’t leave and go to the unreached. But you can send others who can. You might not be able to learn a new language to share the good news, but you can support those who can. Maybe you can’t… but actually, you can. And you can by praying, and you can by giving. That makes you a partner in the work of the gospel! The Apostle Paul celebrated this kind of special “partnership in the Gospel” (Philippians 1:5) that he shared with the Philippians. True, Paul was the one “out there” doing the work, but the prayers and gifts of his brothers and sisters in the church at Philippi made them partners in his work. And that’s what happens for you when you partner with WorldVenture and WorldVenture workers. We miss the Pals. We do. But we will see them again in eternity with Jesus. Until then, we labor in the work they trained to do. We train others to take up the same calling. And we send others out to do the very thing the Pals wanted to do. This is how we remember those who came before us… by going ourselves or sending others in their place. Will you go? Will you give? Will you pray? We’ve asked the Lord of the Harvest to send out workers. And we believe you are a part of His answer. Click here to support WorldVenture’s global work and make it possible for more workers to take the good news throughout the world.